Last week we came together with 120 other exhibitors at Realcomm’s IBcon at the San Jose Convention Center. Experts from around the globe came to discuss the latest trends and technologies in smart buildings and present the most advanced next-generation smart building innovations. The Haystack community was well represented with BASSG, Bueno, CABA, ControlCo, Intellastar, Intelligent Buildings, J2 Innovations, KMC, Lynxspring, SkyFoundry, and Yardi proudly displaying their membership. 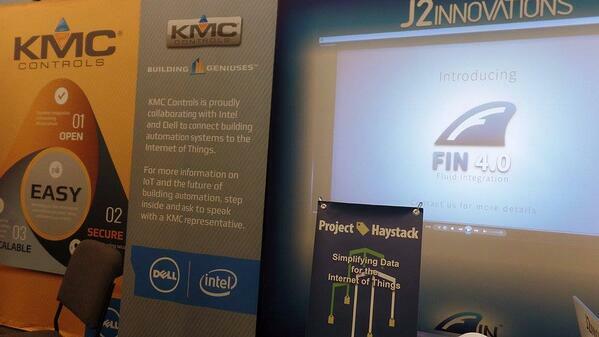 We at J2 Innovations were at the event to support our OEM partners who displayed their products leveraging FIN 4.0. These partners were KMC with KMC Commander, Intellastar with InferStack, Hepta with EntroCIM, and Bueno with EasyIO's EasyStack.